Knives in stock, customs finished! We have had a pretty awesome and busy year so far. I am ahead on my August deadlines and have knives in stock again. 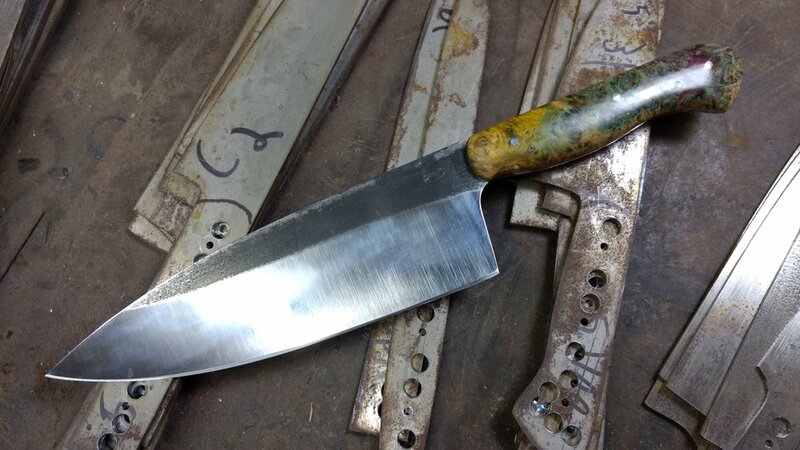 A deba that I absolutely love is ready and will be on the website soon. And a sweet little paring knife. More knives for stock coming soon as I am planning Christmas orders now. I also have two chef knives in stock. My first almost all year.